Station Hollywood: Happy birthday to Preity Zinta. 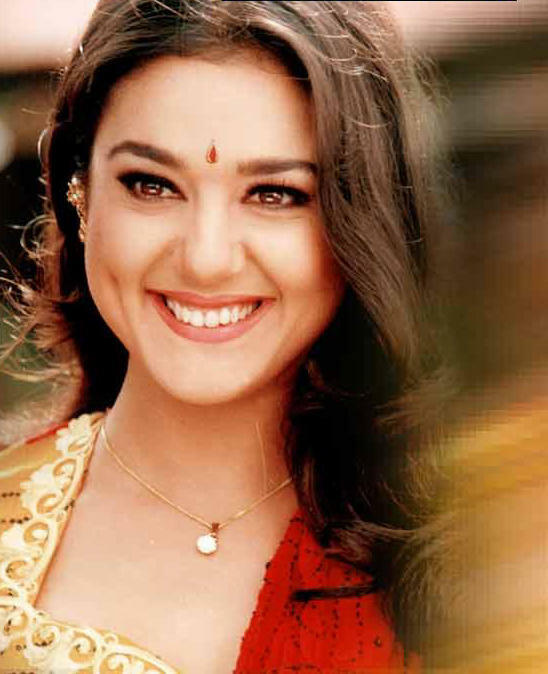 Happy birthday to Preity Zinta. The viewers wish happy birthday to Preity Zinta on 31st January, 2018. Her age and the success of upcoming stars like Katrina Kaif and Priyanka Chopra create eyebrows in the faces of most of her fans. In 2013 she had acted in the film Har Pal opposite Shiney Ahuja. The film will be her next release after 3 years. In 2009 she had acted in a challenging role in Deepa Mehta’s film Videsh which was made in the background of the life of Indians in Canada. Although her performance was extraordinary and the film is destined to win a number of awards just like any other film of Deepa Mehta, the film cannot determine the destiny of Preeti Zinta in bollywood films, as such type of films are seen by mainly intellectual audience. She also played an item number in Salman Khan’s film Mr. and Mrs. Khanna titled “amen”. But apart from them she had shown her substantial presence in bollywood films. If her success in bollywood films is examined, it will be seen that the films related to Australia had always stormed bollywood. Her first film Soldier opposite Bobby Deol became superhit. She was sublime in Farhan Akhtar’s super hit film Dil Chahta Hai, where again her romance with Amir Khan in the film was associated with Australia. Her super hit film Salaam Namaste with Saif Ali Khan was based in Australia. Even Rakesh Roshan’s mega project Koi Mil Gaya was also based in Australia and Preeti Zinta’s career was given new turn along with Hrithik Roshan. Besides earlier her acceptance of any role was backed her age and popularity amongst viewers. Her film Kya Kehna was accepted by the viewers, her role in Kabhi Alvida Ne Kehna opposite Shahrukh Khan was also accepted. She was sublime in Salman Khan’s film Chori Chori Chupke Chupke, Har Dil Jo Pyar Karega, etc. , where Rani Mukherjee also played major part. Even last year her performance in the film The Heroes opposite Salman Khan was appreciated by the viewers. Her record in bollywood films show that she had achieved name, recognition and identity in bollywood films. The test of popularity is under scanner as the new actresses had created fierce competition in the recent years. Besides, the role of smart tall models like the ones played by Priyanka Chopra in Dostana or Katrina Kaif in Race or Lara Dutta in Partner cannot suit Preeti Zinta. From the time she acted in the film Jhoom Barabar Jhoom her fortune started going in the other direction. She had been busy playing the role of franchisee in the context IPL Cricket League. Her team Kings Eleven Punjab had faced a lot of hurdles and she got involved in keeping her team alive in IPL League. If it had brought smiles in the faces of cricket lovers, it had raised eyebrows in the minds of audience of bollywood films. Her presence in recent films is decreasing day by day. In 2012 her film Ishq in Paris was re-scheduled and could not be released at the deserved time. It was released in 2014 but did not do great business. In 2013 she acted in the film Bhaiyyaji Superhit opposite Sunny Deol. Viewers expect her to face the odds and still make valuable contribution in bollywood films as there is no doubt that she is still beautiful, fare, talented and crowdpuller. If the age comes in the way, she can look forward to character roles where her immense maturity can make the difference.